The history of Guinness, one of the world's most famous brands, reveals the noble heights and generosity of a great family and an innovative business. It began in Ireland in the mid-1700s. The water in Ireland, indeed throughout Europe, was famously undrinkable, and the gin and whiskey that took its place devastated civil society. It was a disease-ridden, starvation-plagued, alcoholic age. Taste 5,000 years of brewing history as a time-traveling home brewer rediscovers and re-creates the great beers of the past. Fueled by date-and-honey gruel, sour pediococcus-laced lambics, and all manner of beers between, William Bostwick's rollicking quest for the drink's origins takes him into the redwood forests of Sonoma County, to bullet-riddled South Boston brewpubs, and across the Atlantic, from Mesopotamian sands to medieval monasteries to British brewing factories. Bostwick compares notes with the Mt. Vernon historian in charge of preserving George Washington's molasses-based home brew, and he finds the ancestor of today's macrobrewed lagers in a nineteenth-century spy's hollowed-out walking stick. Wrapped around this modern reportage are deeply informed tales of history's archetypal brewers: Babylonian temple workers, Nordic shamans, patriots, rebels, and monks. The Brewer's Tale unfurls from the ancient goddess Ninkasi, ruler of intoxication, to the cryptic beer hymns of the Rig Veda and down into the clove-scented treasure holds of India-bound sailing ships. With each discovery comes Bostwick's own turn at the brew pot, an exercise that honors the audacity and experimentation of the craft. A sticky English porter, a pricelessly rare Belgian, and a sacred, shamanic wormwood-tinged gruit each offer humble communion with the brewers of yore. ©2014 William Bostwick (P)2015 Audible Inc. 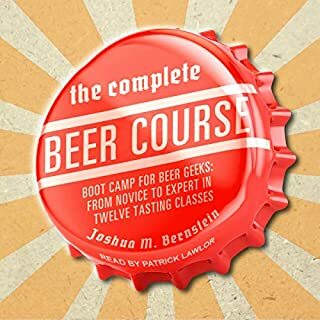 Covers the history of beer and give information on certain types of beer (abbey, lambic, seasons, IPA..). It's well explained and very insightful. If you're looking into specific techniques or technical information, I'd recommend YouTube videos. Else, this gives a good overall feel of brewing. 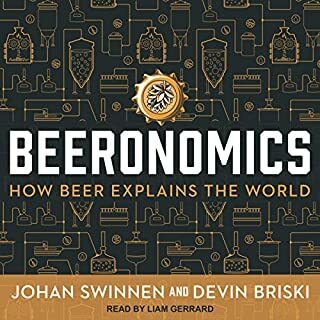 A well-written and fascinating tale looking back at how beer shaped so much of the world. 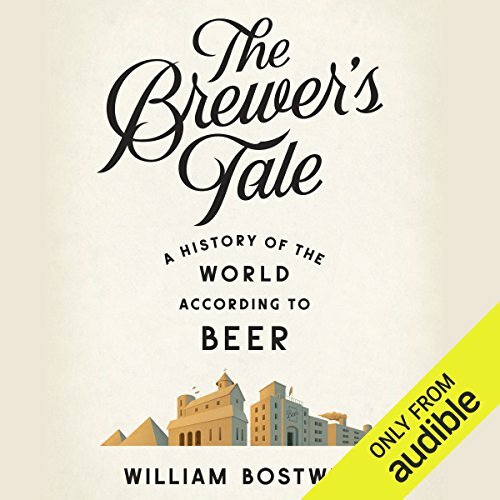 The history of beer evolution in England was particularly fascinating, especially the rise and fall of the porter and the influence pale ales had on the world. Overly descriptive to the point where you forget what the author is talking about. Too whimsical to follow. As a Homebrewer myself I thought this would be fascinating, but it's written and told more like a fairytale rather than a history book. I went into this hoping to learn a lot, and I did. The writing when he was describing the taste and production of beer was on point, but when he narrated and pontificated it felt sophomoric. Definitely worth a listen if you are a beer lover. One of my favorite history books ever. Easy to follow, yet filled with rich and interesting detail, A Brewer’s Tale is the perfect example of how history books should be written. There is serious and frequently quoted research based on primary sources interwoven with relevant ties to our modern day and age as well as a delightful and practical understanding of humanity as a whole. This book combined two of my favorite things (history and beer) and made me fall in love with both all over again. So much detail and so many facts that this is a book likely better read than listened to. 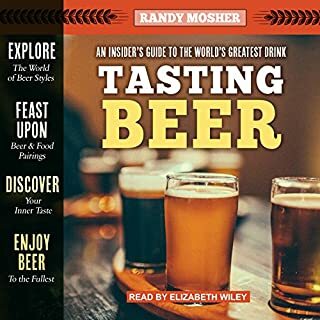 This was an enjoyable trip though the history of beer and brewing, providing enlightening insight into the people, factors, and situations that produced different brewing methods and beers. The narrator was difficult to listen to. There are awkward pauses and pronunciations that are akin to computer reading software. 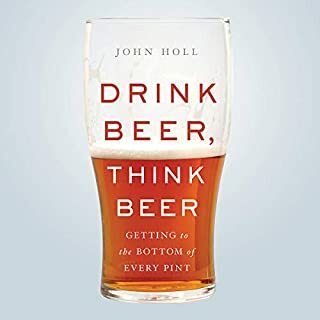 Bostwick tells a lot of the story of America beer, without chronology or causative order; too much jumping around, not coherent and cohesive reading . 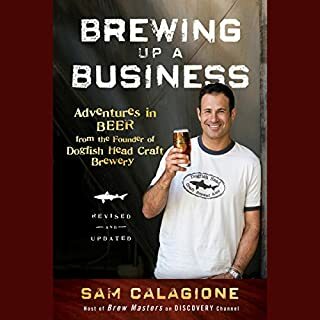 In San Diego there are breweries everywhere and every time I listened to this book I would go to a brewery and try to taste the story. I've listened to this twice. Will probably listen to it again. Great layout of story and love the fact that he rolls up his sleeves and tries to recreate ancient beers. An informative and interesting read. Highly recommended. Makes me want to go out and brew a historic beer! A great history, described as if I there! 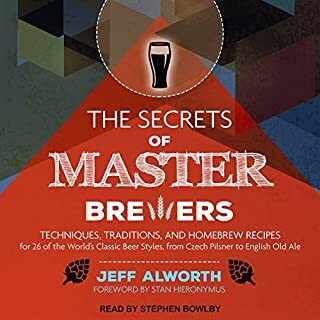 Loved it, very descriptive and useful information/facts for every home brewer or beer enthusiast. Recommend and would listen again.